The island of Antigua is promising a better cruise season in 2013 thanks in part to Royal Caribbean bringing back ships during summer. Jewel of the Seas will visit three times a month during the summer period from May to October 2013 and will remain for the 2013-2014 winter season. Jewel of the Seas is planning to make 29 stops at the island, which translates to 72,500 passengers in 2013. Jewel of the Seas replaces Serenade of the Seas. Chief Executive Officer of Antigua and Barbuda Tourism Authority Colin James mentioned Royal Caribbean's return was thanks in part due to ongoing "lobbying efforts" by the island. A delegation involving the Antiguan Minister of Tourism, Civil Aviation and Culture met with Royal Caribbean in recent weeks. “I think this is excellent news for the destination because in the summer months things really dry up and it makes it very difficult for the key tourism partners on island to sustain their business during the summer month. It is good news for our destination and we are really pleased that the lobbying effort has borne fruit." The U.S. Virgin Islands is excited to welcome two additional Royal Caribbean ships to its islands after Royal Caribbean announced its new Caribbean itineraries in 2013-2014. 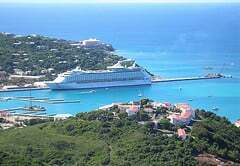 Jewel of the Seas will visit St. Thomas while Adventure of the Seas will stop at St. Thomas and St. Croix, which is in addition to the other Royal Caribbean ships that had been visiting the islands. USVI Governor Jogn de Jongh, Jr. commented on Royal Caribbean's new deployment plans and the importance of St. Croix as a destination, "The Virgin Islands has a wonderful relationship with Royal Caribbean, and that is reflected in the cruise line's newest itineraries, which frequently call on the territory's ports." The change marks the cruise line's largest deployment ever in the region. Oasis of the Seas and Allure of the Seas will continue to alternate seven-night Eastern and Western Caribbean itineraries with stops in St. Thomas, while Freedom of the Seas' Eastern Caribbean itinerary lists calls on St. Thomas. The Marina Bay Cruise Centre Singapore is a brand new cruise terminal in Singapore that looks to draw in the largest cruise ships in the world, including Royal Caribbean's fleet. 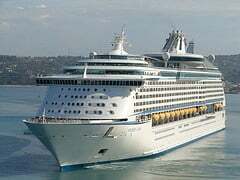 The $395 million terminal will welcome Royal Caribbean's Voyager of the Seas on Saturday, which will be the largest ship of its kind to dock in Singapore. Voyager of the Seas is just the beginning, because the cruise terminal operator want to attract even larger ships. SATS-Creuers Cruise Services commented on the plans the terminal has in a statement, "pave the way for the newer generation of larger cruise liners to dock in Singapore and Asia, including Oasis-Class ships." Cruise tourism in Abu Dhabi is going to get a bump when Royal Caribbean sends its recently revamped Serenade of the Seas to the middle eastern city in 2012-2013. Serenade of the Seas replaces Brilliance of the Seas and will mark the first time Serenade of the Seas has served the Middle East market. Serenade of the Seas will make 17 stops in the UAE capital starting in January 2013. Royal Caribbean Regional Director for Europe, Middle East and Africa, Helen Beck, commented on the news, "The resilience of the Middle East market is very encouraging. Bringing a new-look Serenade of the Seas to the region is testament to that belief. She will undergo a complete renovation and will boast a number of new food and beverage outlets and attractions that haven’t been seen here. It will certainly up the game for the regional industry." 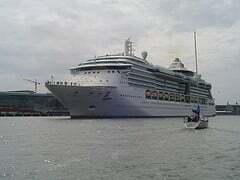 Royal Caribbean announced it is planning on home porting Enchantment of the Seas in Port Canaveral in 2013 to do 3 and 4 night cruises to the Bahamas. Enchantment of the Seas will begin sailing from Port Canaveral on April 25, with three- and four-night itineraries to the Bahamas. Enchantment replaces Monarch of the Seas, which is being transferred out of the fleet. Monarch’s last sailing from Port Canaveral is scheduled for March 29. Canaveral Port Authority Chief Executive Officer Stan Payne commented on the news, "I’m really very excited about this, and you should be, too." Enchantment will join Freedom of the Seas in Port Canaveral and is scheduled to be upgraded in December, with added onboard amenities and other renovations. Royal Caribbean is planning on bringing Grandeur of the Seas back to Baltimore to offer year-round cruises in the spring of 2013 after she receives a $48 million renovation. Grandeur of the Seas had previously sailed out of Baltimore from 2004 to 2009 before being replaced by Enchantment of the Seas. Once Grandeur arrives, it will replace Enchantment and offer cruises to the Bahamas, Bermuda and New England and Canada..
Baltimore officials are happy with the change since the makeover Grandeur will receive should be an upgrade in terms of ship and it will offer people sailing out of Baltimore similar amenities that can be found in Royal Caribbean's larger ships. Grandeur of the Seas is set to receive as part of her makeover new dining options, lounges, nursery for children, Wi-Fi service and an outdoor video screen overlooking the pool deck. 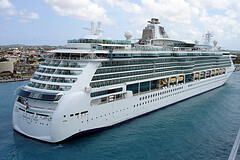 Royal Caribbean plans to have the first cruise out of Baltimore on May 3, 2013 to Bermuda. After, Grandeur will offer six-, seven-, eight- and 10-night cruises. Royal Caribbean's Legend of the Seas made her maiden stop at Yeosu, South Korea yesterday to coincide with the opening week of World Expo 2012 in the city. Yeosu is the newest South Korean destination for Royal Caribbean International, after Seoul, Busan and Jeju. The stop in Yeosu is part of an 8-night cruise out of Yokohama, Japan to Shanghai, China. 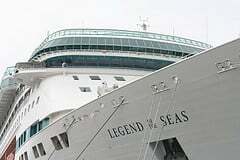 Legend of the Seas is offering a number of cruises ranging from six to ten nights to South Korea, Japan and China. Royal Caribbean will send Brilliance of the Seas to Tampa in 2013-2014, replacing Jewel of the Seas. 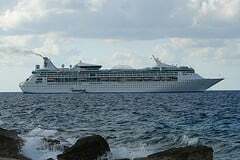 Brilliance of the Seas will offer four and five-night western Caribbean cruises with stops in Cozumel, the Cayman Islands and either Key West or George Town. Prior to arriving in Tampa, Brilliance will enter drydock in May 2013 and be revitalized to give it a major refurbishment including New onboard dining and entertainment options, revitalized staterooms, and other amenities including Wi-Fi, digital way-finding systems and an outdoor LED video wall. Royal Caribbean general manager of Royal Caribbean Italy, John Rotondo, spoke about the future of Royal Caribbean and Sicily as Royal Caribbean debuted in port their today. "We will increase our presence in the region. By adding Catania programming we want to intensify our presence in Sicily and we are confident that its strategic position will allow cruise passengers to visit a territory rich in priceless beauty." "The whole region has great potential and we are sure will play an increasingly significant role in strategic planning and Royal Caribbean in the Mediterranean". Royal Caribbean's Vision Class ship, Splendour of the Seas, will call Bari, Italy home for the summer months and it has the locals excited for the change. Royal Caribbean director general of Italy, Gianni Rotondo, commented on the news, "We are proud to count among our home port ships in Bari Royal Caribbean and the achievement of an important strategic and especially considering the location and the possibility' of finally have an outlet to the south." 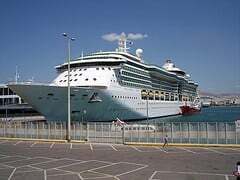 Splendour of the Seas will offer summer cruises of 6, 7 and 8-nights and will visit ports in Greece and Turkey from its new home port in Puglia. In total, Splendour will transport 73,000 passengers.